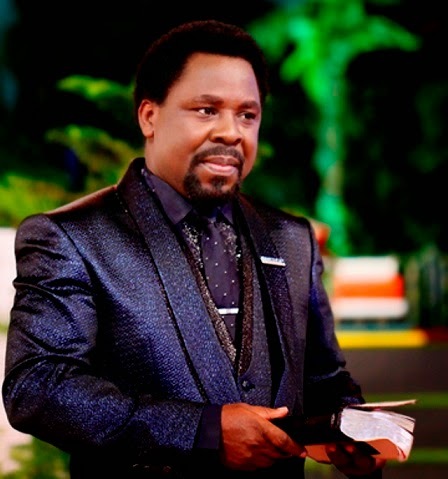 Prophet TB Joshua while preaching yesterday, 4th of May, 2014 in his church said Boko Haram will start attacking bigshots in our society. Expressing his shock that political parties such as APC and PDP are against themselves instead of coming together as one to fight Boko Haram in Nigeria, he says it’s quite risky because the group would soon turn back to start attacking them. It will be recalled that, Prophet TB Joshua has not stopped giving different prophesies every Sunday on the altar while he preaches, ever since the over 200 school girls disappeared into thin air. “They should suspend all rallies and acrimonious campaigns. It is this division that gave opportunity for hoodlums, militants and Boko Haram to explore and exploit,” he stated.